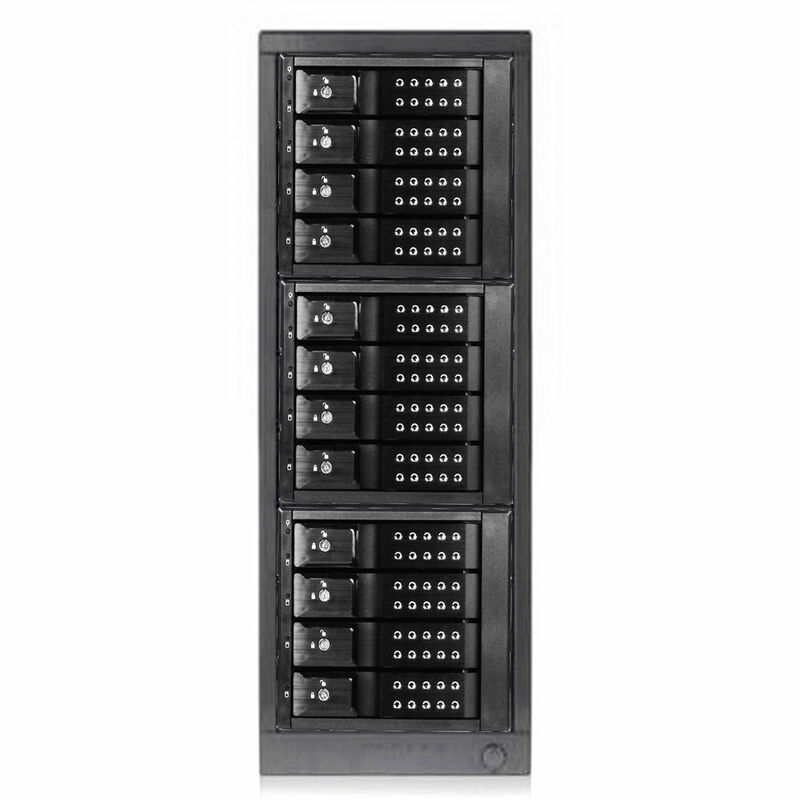 With support for up to twelve 3.5" SAS/SATA hard drives, the 12-Bay 3.5" SAS/SATA 6 Gb/s miniSAS Trayless JBOD Enclosure from iStarUSA makes it easy to expand your storage capabilities. This HDD enclosure features a trayless design and offers hot-swapping of drives making it easy to replace drives without shutting down your system. Transferring data has also been simplified thanks to the three built-in miniSAS connectors each with a total bandwidth of up to 24 Gb/s. Once configured, four built-in fans provide optimal cooling to help keep the drives from overheating while the rugged steel chassis offers added peace of mind that your drives will remain secure.